Shoe sanitizers and sprays are great for disinfecting your shoes from bacteria and organisms that cause toenail fungus (onychomycosis), athlete's foot (tinea pedis), plantar warts (verruca), stinky feet and other harmful foot infections. Shoe sanitizers also work to help you get rid of stubborn nail fungus and chronic athlete's feet. When treating nail fungus, athlete's foot or plantar warts shoes are often overlooked, but disinfecting shoes is critical for a complete treatment for people who suffer from foot infections. Shoes are breeding grounds for bacteria and need to be disinfected to stop the reinfection of the skin and nails. 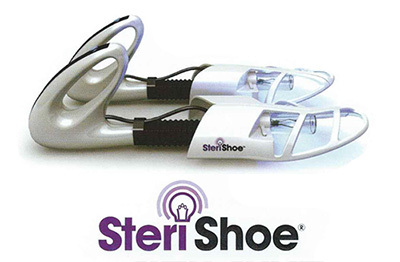 The Sterishoe UV Shoe Sanitizer safely disinfects your shoes by using ultraviolet (UVC) light. It kills 99.9% of microorganisms that cause nail fungus, athlete's foot, plantar warts and is ideal for people with diabetes, hyperhidrosis (excessive sweating) and smelly feet. It's also 100 percent chemical-free! Read more about the benefits of the SteriShoe Shoe sanitizer. 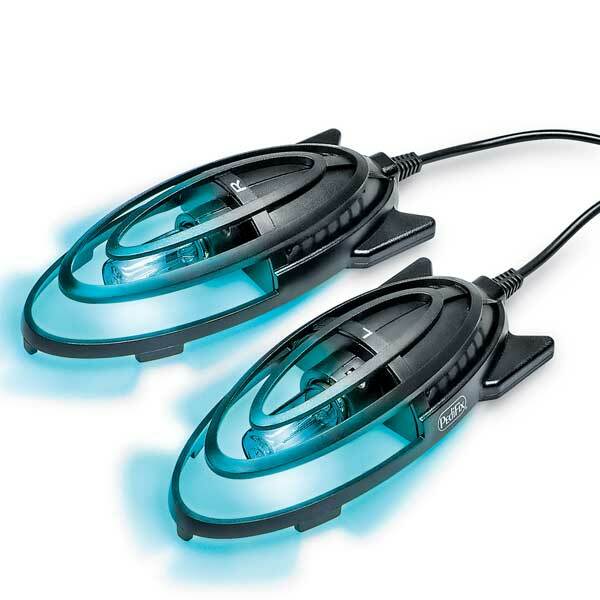 Pedifix Shoe Zap uses UVC germicidal light to kill fungus and bacteria that thrive in shoes and cause athlete’s foot, toenail fungus, foot odor, skin infections and more. This one size shoe sanitizer fits all footwear styles and sizes and cleans your shoes in 15 minutes. 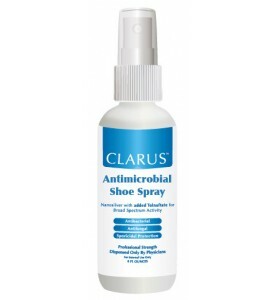 Safe and effective shoe spray that kills bacteria and fungi, which results in the elimination of shoe odor. Kills bacteria, fungi, and spores using nanosilver and tolnaftate. These handy health gadgets are a must-have for diabetes sufferers who are at risk of foot infections that can lead to amputation and is part of a complete treatment for people who suffer from toenail fungus, athlete's foot, and foot odor. From skin conditions to smelly feet these devices help you eliminate the problem at its source. To purchase these best selling shoe sanitizers or, for more information contact Foot Traffik in Long Beach. If you have concerns about your feet talk to a podiatrist at Sol Foot & Ankle Centers near Long Beach, CA. They have a team of experienced podiatrists that can help you with your foot problem, call 562-433-078.